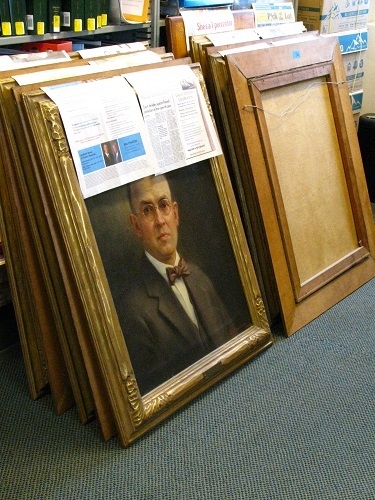 As countless people surf the web every day, it behooves the Law Librarian to actually list the judges of the historic portrait collection on our walls. It’s always exciting for us when a visitor to the library (or our blog) points out a portrait as being of their deceased relative. So as we near the completed restoration of all the portraits, we want to encourage people with connections and memories to come forward and share them with us. We are also interested in information related to the artists, including Edward V. Brewer and James L. Artig.